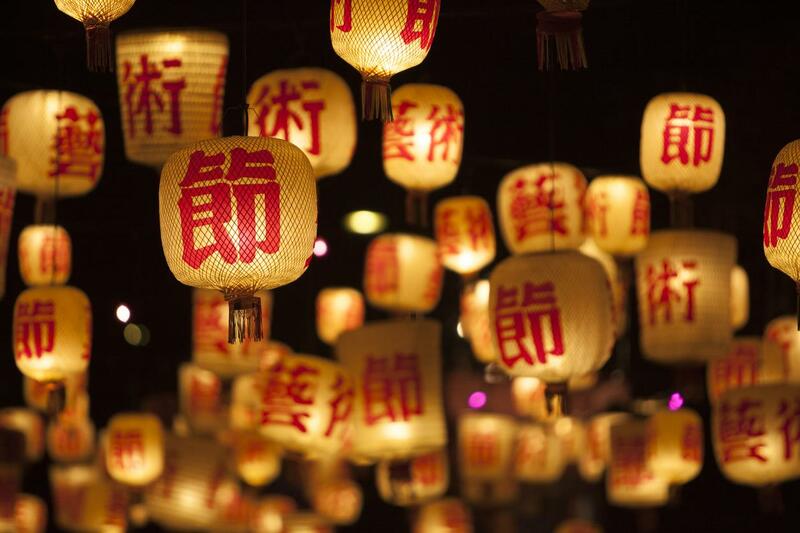 Lunar New Year is a big tradition among Asian cultures and the festive celebrations that usher in prosperity and good fortune can last anywhere between one evening and two weeks. This year marks the Year of the Pig, the last animal in the Chinese zodiac, which will complete the calendar's 12-year cycle. To celebrate the momentous occasion, hit up a beautiful (and delicious!) celebration near you. From red envelopes and mooncakes to traditional dances and pork dumplings, there are so many ways to ring in the Year of the Dog. If you want to get in on the fun, celebrate the Lunar New Year in the city closest to you. 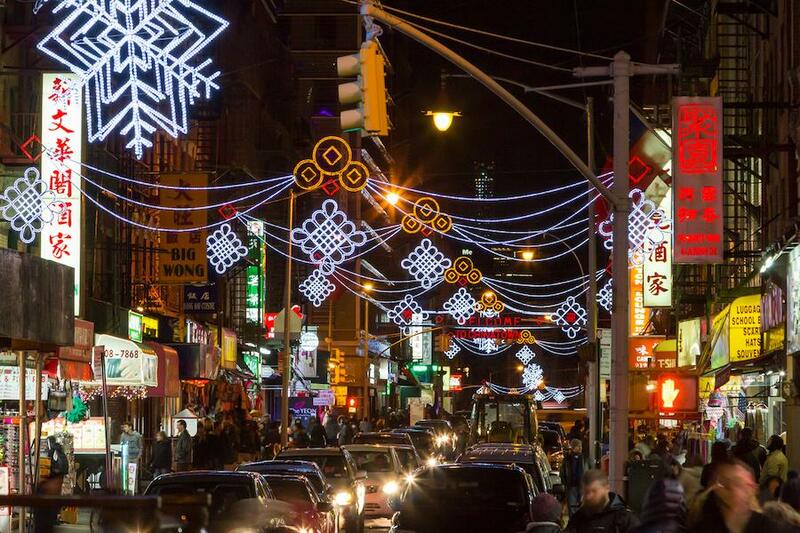 As one of the biggest cities in America, New York isn't home to just one Chinatown — its five boroughs are home to several. If you're in Manhattan, check out the Firecracker Ceremony and Cultural Festival in Chinatown. With dance performances, elaborate costumes, and martial arts displays, it's probably the most vibrant celebration the city has to offer. And if you'd rather sit out the parade, feast on delicious soup dumplings or lo mein at one of Chinatown's many delicious restaurants. Brooklyn's Chinatown in Sunset Park will also offer a parade, festival and live music — and the crowds will probably be more manageable than the ones in the city. If you'd rather not deal with mobs of people, Carnegie Hall is offering its fifth annual New Year Spectacular, featuring musical performances by pianist Jie Chen, Shanghai soprano Quan Chen, and many more. Thousands of Angelenos will flock onto North Broadway in Chinatown for the 120th (!) 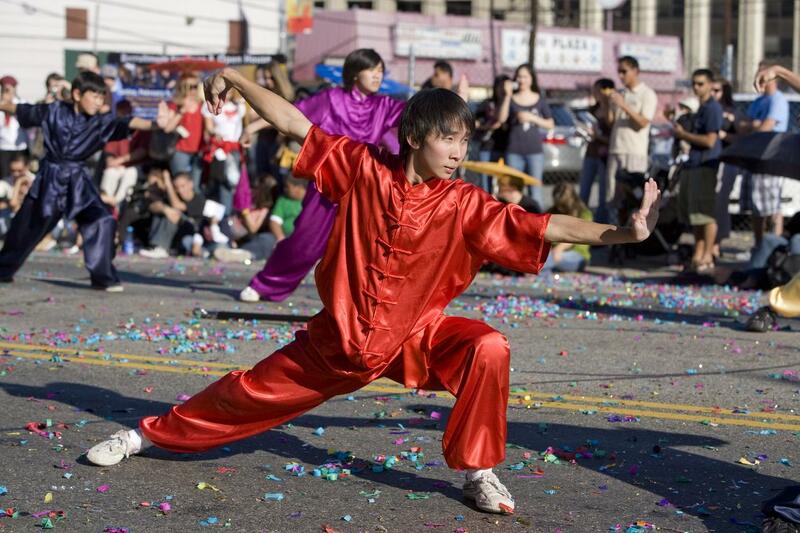 annual Golden Dragon Parade on February 5, and you should join them if you find yourself in LA for the legendary lunar celebration. 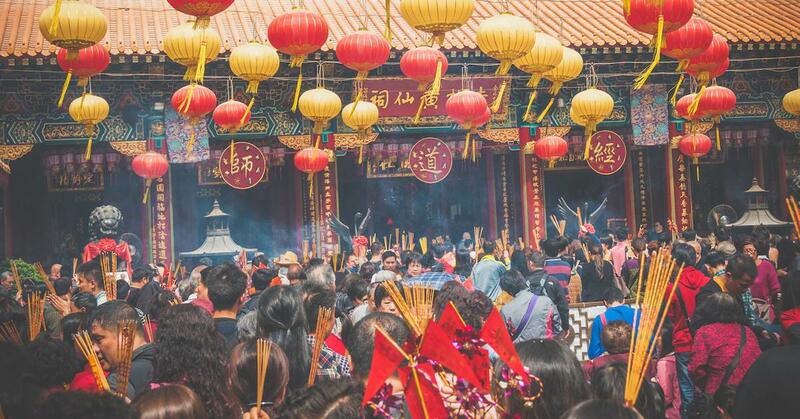 If you're feeling a late night on Tuesday, hit up Thien Hau Temple's midnight ceremony, which starts at 10 p.m. — complete with deity offerings, lion dancers and burning incense. 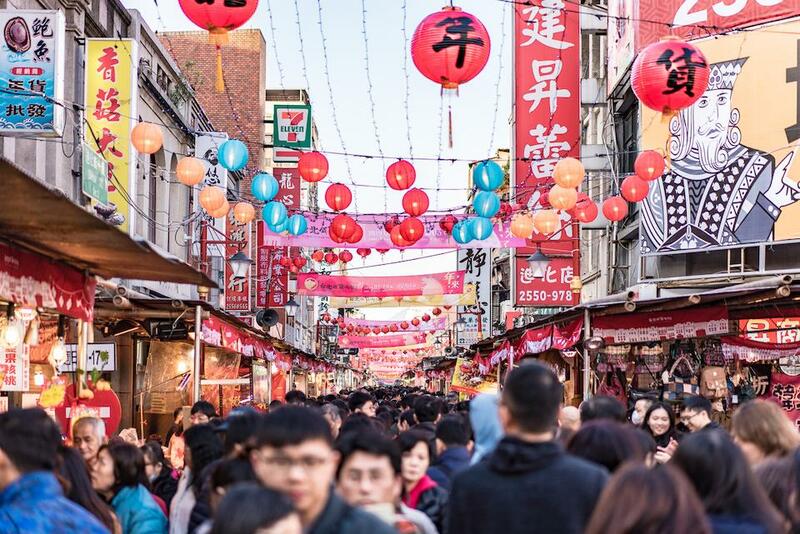 If you somehow sleep on the day-of celebrations, hit up the Chinese New Year Festival and Parade on February 17th, where local artisans, incredible food trucks and live music will convene to keep the Year of the Dog celebrations going. The growing Asian population in the Northwest means there's plenty to do in Washington around this time of year. The Chinese New Year Parade and festival in Hing Hay Park is one of the most massive celebrations in the country and luckily, they're waiting until the weekend so everyone can get in on the fun. 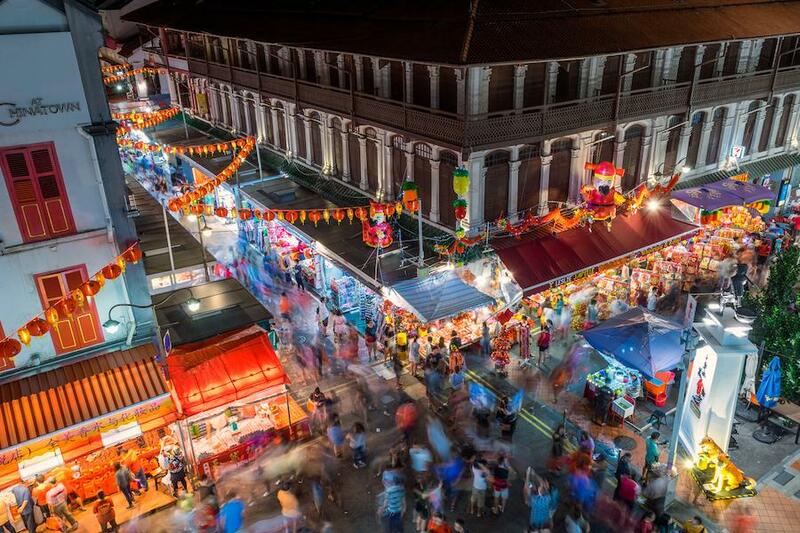 New Orleans might be the place to be for Tet Fest, the Vietnamese cousin of Chinese New Year. Mary Queen of Vietnam Church hosts a free celebration that boasts lion dances and acrobatic stunts, in addition to delicious rice cakes, banh mi and pho. Yum! SF might be the place to be if you want in on the most festive Lunar New Year celebrations the States has to offer. From the Flower Market Fair on Grant Avenue at the beginning of the month through the Chinese New Year Parade on February 23, the parties go all month long. About half a million people join in on the festivities, making San Fran's celebration one of the biggest and most iconic in the Western world. Chow down on Chinese food and experience the gorgeous nighttime parades all month long if you're lucky enough to find yourself in Nor Cal. Philly goes big for Lunar New Year, thanks in part to the unmissable cuisine from Sang Kee Noodle House. After you eat, ring in the new year at the International House Philadelphia with traditional Chinese music, martial arts, dance and films. If you're not too freezing to celebrate, hit up February 10's procession of lions, colorful floats, and music in Chicago's Chinatown. It's also the best place to be for the most delicious Chinese food — from traditional dim sum to crab dumplings, or the oldest buns in Chinatown courtesy of Chi Quon Bakery. H-Town goes all out for Lunar New Year over two whole days — February 9 and 10 — so everyone can attend without the worry of early work commitments. Celebrate the Year of the Pig with folk dances and martial arts performances, with a side of bubble tea or otherwise delicious dumplings and baked goods. With almost 40,000 annual attendees, this event is not one to sleep on. Gong xi fa cai, and all the best for the Year of the Pig! 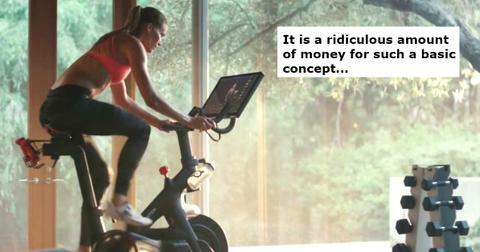 At the very least, it's another chance to give your New Year's resolutions from last month another whirl.